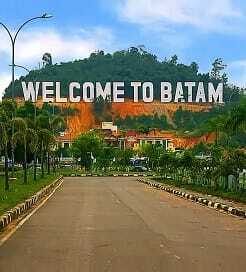 The Indonesian island of Batam is located in the Riau Archipelago around twelve miles south of Singapore, in between the islands of Bintan and Bulan. With Singapore as a role model, Batam has rapidly transformed itself into a thriving tourist destination with beach resorts, luxurious brand name hotels, golf courses, malls offering tax-free shopping, a modern airport and numerous ferry ports. Getting to Batam by ferry is simple with hundreds of sailings offered each week from Singapore to the five ferry ports dotted across the top of the island. The majority of ferries depart from the Singapore Harbourfront Centre terminal in the south with an additional route departing from the Tanah Merah terminal on the south east corner of Singapore. Ferries departing from Harbourfront sail to Batam Centre, Sekupang, Harbour Bay and Waterfront while ferries from Tanah Merah travel to and from Nongsapura to the north east side of the island. Sailing durations across the Singapore Strait to Batam are generally between fifty and seventy minutes. All crossing are offered by high speed ferries featuring spacious and comfortable seating as well as a business class option for those wanting a little more luxury. With so many routes available, and the number of ferry companies offering services, compare all options to ensure you get the best deal. For more information, please visit our Ferries from Singapore to Batam page.